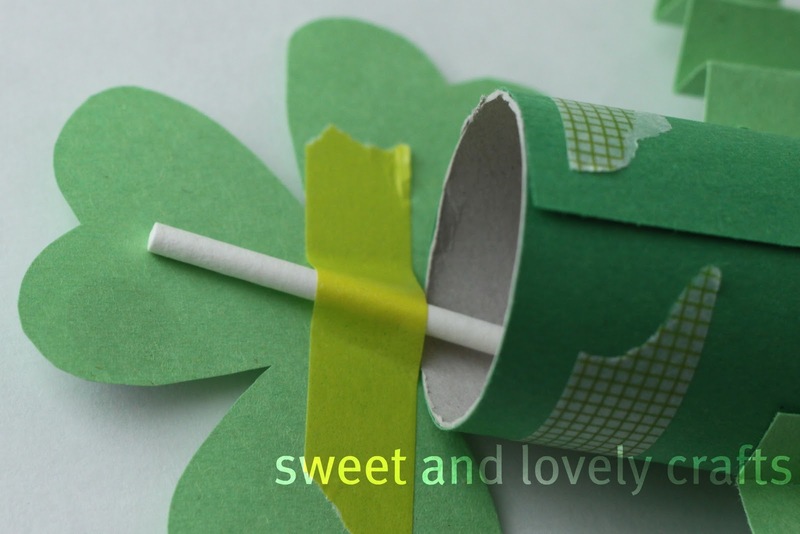 Claire and I had such fun making our Valentine's Day craft that I wanted to make one for St. Patrick's Day that used similar materials. We made a few different varieties this year- so you can make which ever one you have the materials for. 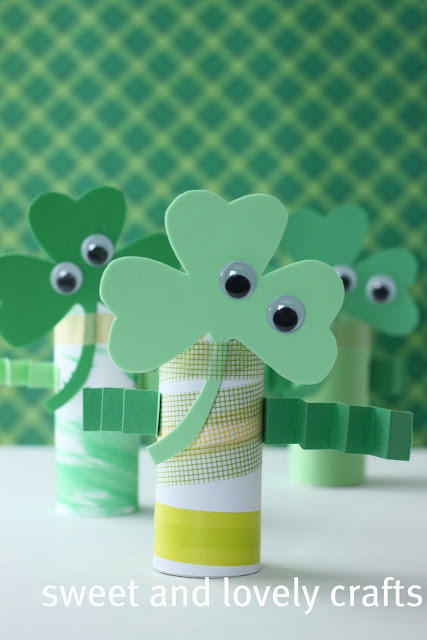 If you're using construction paper to cut out the hearts, you will need a stick to help support the shamrock. The googly eyes will weigh it down. No big deal, just tape a stick to the back of the shamrock, and add a piece of tape on the inside of the toilet paper roll too. Have you made these with your kids to celebrate & decorate for St. Patrick's Day? Leave me a note in the comments, I'd love to see them. These are so adorable. And I know it's a craft my son would just love. Thank you for sharing!! Like I always say, googly eyes make everything fabulous! ...another great idea, as always! So cute.Thank you so much for joining the More The Merrier Monday Linky Party. Be sure to come back next week. I look forward to seeing more of your projects. Love these. I can't wait to make them with my kids. thanks. how cute! will have to do this with my son! This is adorable! 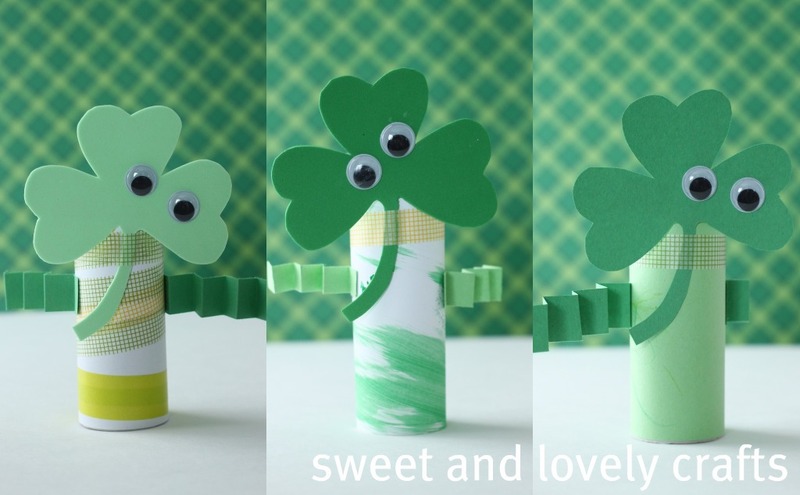 I love these Wee little Shamrock men! I found you through a linky party. My readers would love this. I would love if you came and linked up to TOO Cute Tuesday! WOW! I really really love these! Perfect craft for St. Patrick's Day! Well done! These are adorable! Thank you for sharing! 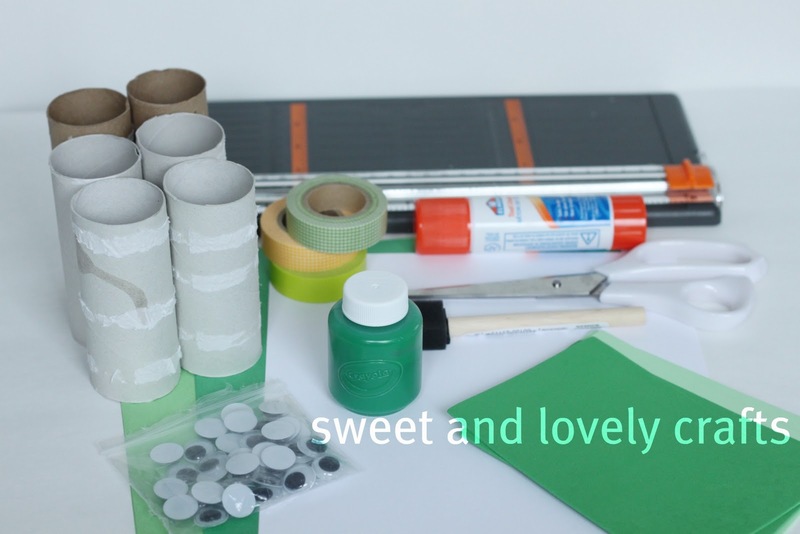 My little ones would really enjoy this project! I love the simplicity and open endedness of these. Can't wait to try them in my preschool class. SO cute! Thanks for linking up to Making It With Allie! I can't wait to see what you have for next week! These are simply ADORABLE! I love them!! I featured them on my blog today so come on over and check it out! Monsters love them!! I'll try thenm! !